The difference between “German drawings” and “drawings from Germany” may seem self-evident today, but such a distinction only exists thanks to the work of art historian Heinrich Geissler, whose archive is housed at the Getty Research Institute. The chief curator of prints and drawings at the Staatsgalerie Stuttgart, Germany, from 1983 to 1990, Geissler changed the way scholars interpret 16th– and 17th-century drawings from the German-speaking regions of Europe. 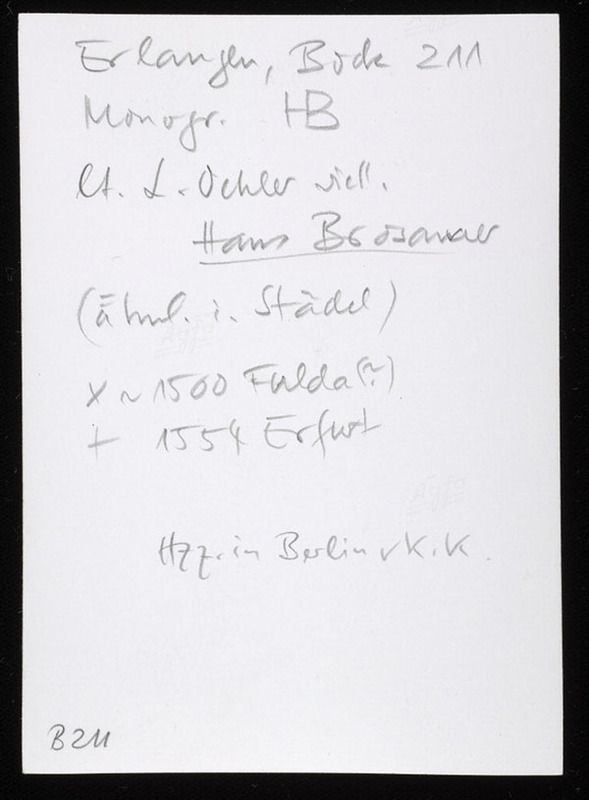 It was his innovative and systematic method of organizing research files by place where the art was produced, instead of by the artist’s place of origin, that paved the way for a new interpretation of German art. Geissler’s innovative scholarship took place within the context of the postwar reevaluation of the term “German art.” Since the late 19th century, but especially under the Nazi regime, German art had been viewed as the expression of a distinct national identity in terms of style, iconography, and theme. After the collapse of National Socialism, art historians were released from this limited frame of interpretation and were free to consider artistic production in the many German-speaking regions of Europe as a totality, regardless of where the artists active in those places were born. Such an approach opened the way to include artwork by non-German artists traveling throughout the German-speaking areas of Europe. This new freedom also allowed art historians to expand their work and focus on artwork by lesser-known artists from the Late Renaissance and Early Baroque periods. These eras were traditionally viewed as a time of artistic decline following the heyday of the Renaissance in the early 1500s, when “great German masters” such as Albrecht Dürer, Lucas Cranach the Elder, Lucas Cranach the Younger, Hans Holbein the Elder, and Hans Holbein the Younger were active. 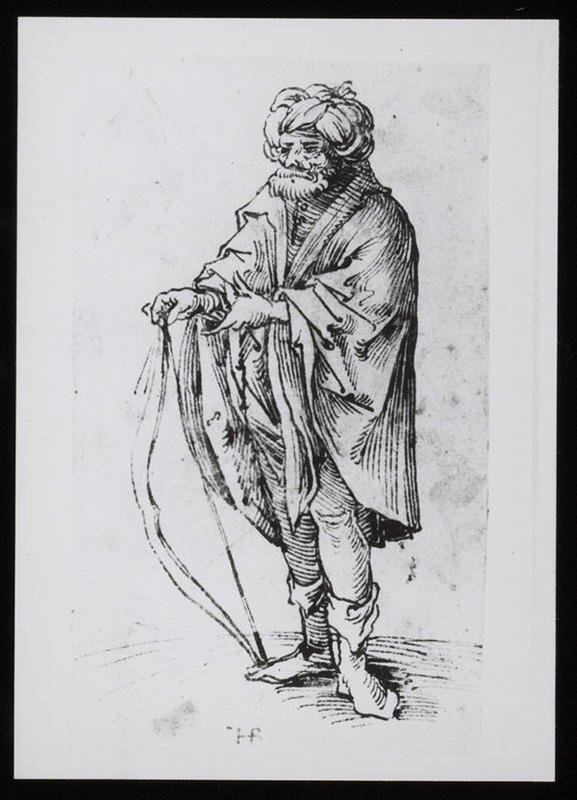 The turning point in this art-historical shift was Geissler’s groundbreaking exhibition Zeichnung in Deutschland: deutsche Zeichner 1540–1640 (Drawing in Germany: German Draftsmen 1540–1640), held at the Staatsgalerie Stuttgart between December 1979 and February 1980. 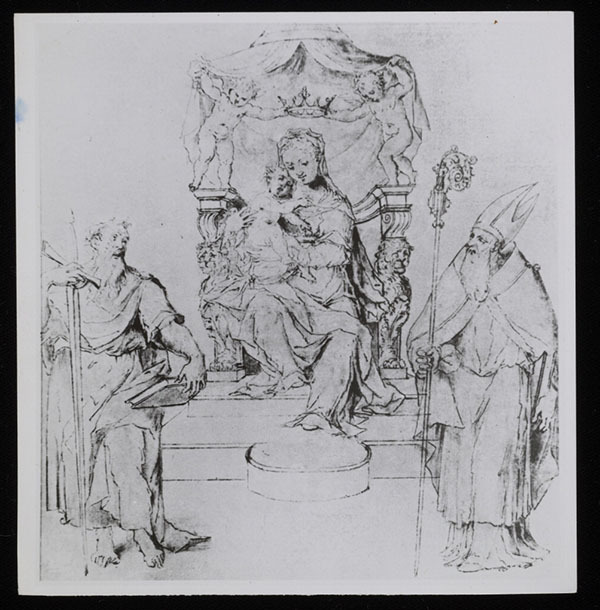 His extensive two-volume exhibition catalog is still considered a handbook of late Renaissance and early Baroque German drawing. In preparation for the exhibition, Geissler arranged photographs of artwork geographically, from the northern to the southern centers of art production of the Holy Roman Empire. Within each location, he organized the material chronologically and by category. 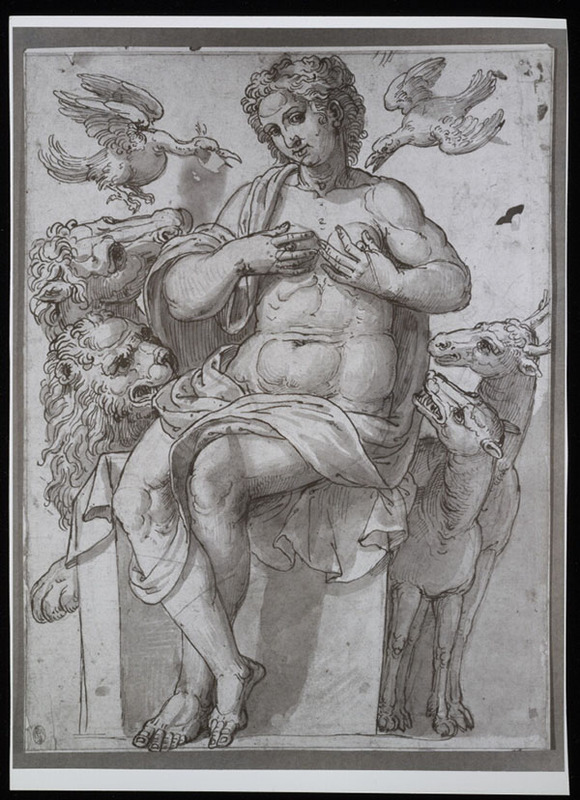 This geographical arrangement enabled him to identify regional styles, which further contributed to the attribution of several anonymous and undated drawings. Geissler also included the works of German artists travelling throughout the Holy Roman Empire and those of artists from other countries, especially the Netherlands and Italy. By filing artwork based on where it was produced, rather than by the artist’s birthplace, it became possible to trace mutual influences and the corresponding changes in style, theme, and iconography in the artwork of traveling and local artists. Such an approach also shifted the focus of art-historical interpretation from defining the national character of art to the study of the dynamics of cultural exchange among various cities and regions. The term “German drawing” changed its meaning, from expressing national identity to capturing a broadly defined geography. 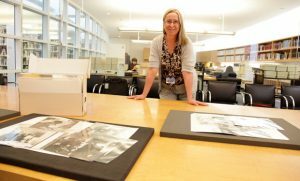 The Heinrich Geissler papers in the collection of the Getty Research Institute represent a lifetime of scholarship. 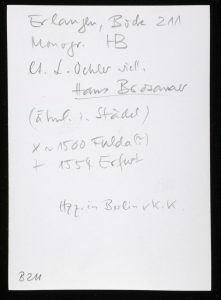 Included are not only materials leading to the 1979 exhibition in Stuttgart, but also a wealth of materials Geissler compiled during the subsequent ten years. The exhibition catalog contains only a fraction of the images present in the archive. 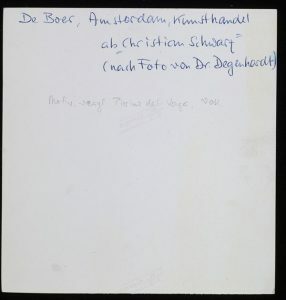 In addition to a vast quantity of study photographs and notes, the Research Institute’s collection includes annotated excerpts from publications, cross-referenced card indexes, and Geissler’s correspondence as curator. 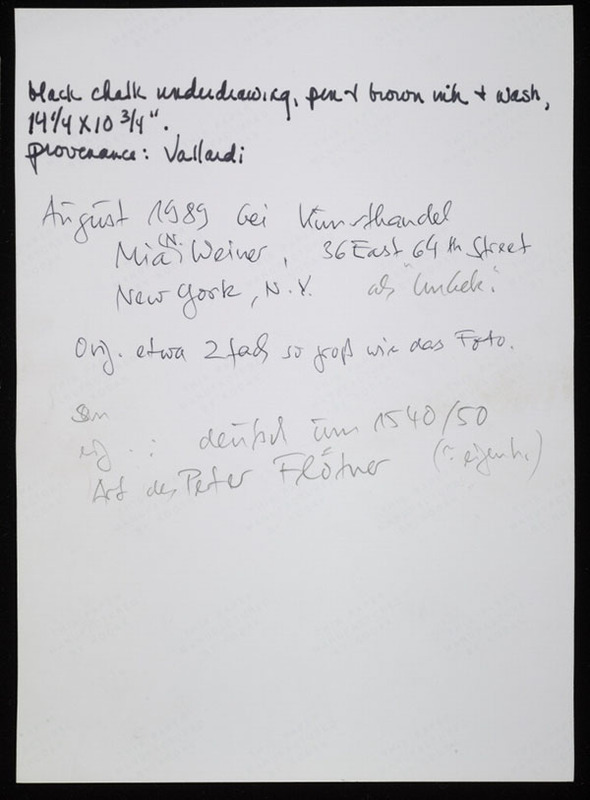 Over half of the archive is comprised of Geissler’s geographically arranged files and those on individual artists. The division begins with Northern Germany, East and West Prussia, and Westphalia; continuing with the various Rhine regions, Hesse, Swabia, Saxony, and Palatinate; concluding with Bavaria, Austria, Switzerland, and Silesia. 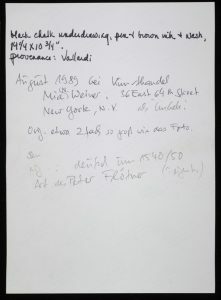 Especially extensive are files on artwork produced in the cities Augsburg, Cologne, Dresden, Ingolstadt, Munich, Nuremberg, Prague, Strassbourg, Stuttgart, and Wolfenbüttel. 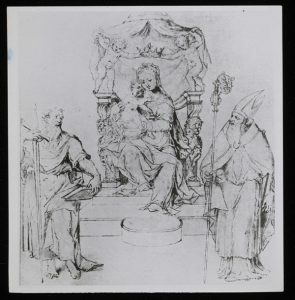 Geissler also accumulated substantial research material on the artists Christoph Schwarz, Hans Bocksberger the Elder and other members of the Bocksberger family, Johann Matthias Kager, Hans Krumpper, Hans (Johannes) Rottenhammer the Elder and his sons, and Lambert and Friedrich Sustris. 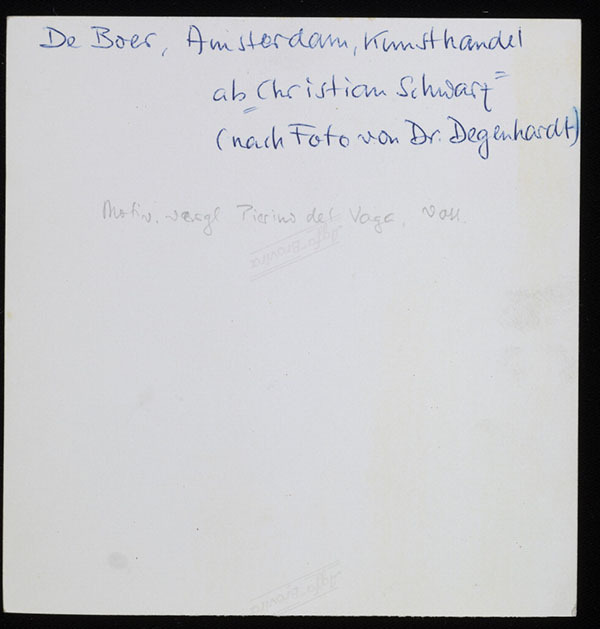 The curator’s notes, annotated clippings from auction catalogs and art journals, and letters from other scholars are frequently interfiled within the study photographs. Remarkably, the original location of all items in the archive is preserved. The “workshop” of this groundbreaking curator is “frozen in time” and available for exploration by the scholars of today.